There’s a reason this time of year is referred to as the ‘silly season’ with many calendars jam-packed with end of year celebrations, work parties, and get-togethers with family and friends. These parties and events can involve alcohol consumption – and for some of us, typically a lot of alcohol. Sadly ‘getting drunk’ is widely accepted in our culture (not the case in many cultures) and the manner in which we drink is where real issues can arise. The term ‘binge-drinking’ generally refers to drinking heavily over a short period of time with the intention of getting drunk. In Australia this method of drinking is largely accepted and can result in immediate and severe intoxication. 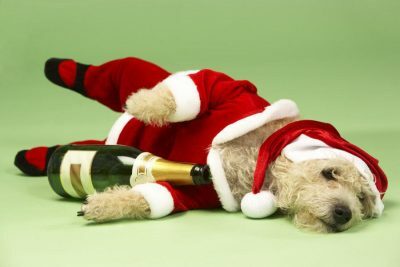 Some people may think that because their binge-drinking is just over the holidays that it’s okay. But there is no safe time to binge-drink – even a single episode can have serious repercussions. Intoxication often leads to accidents and injuries, anything from a twisted ankle to a serious fall, broken bones and even death. Intoxication can cause many other issues too, including career or friendship damaging behaviour, the loss or damage of valuable items, or reckless spending. Many people think they’ll be fine to drive the next day if they just ‘sleep it off’; but it’s not sleep that makes you less drunk – it’s your liver’s ability to process the alcohol that’s been consumed. Since your body processes the alcohol in your system at a fixed rate (about one standard drink per hour), if you’ve been drinking heavily it can take a long time to fully sober up. If it was a really big night, it might take you 8, or even 10 hours to become sober. This is important to keep in mind as you may still be over the limit if you’re behind the wheel the next day or if you have to work. Don’t be that messy guest. Control your alcohol intake by sipping regularly on water and alternating your drinks with non-alcoholic options. If you are taking drinks to an event, only take the small number that you need to enjoy the event. Have a getaway plan and a fixed departure time in your head that you have planned in advance. Book your taxi or your lift with a designated driver for a set time prior to your arrival at the event. As an event host try not to let alcohol saturate your function or gathering. Plan activities that can take the focus away from drinking and encourage people to consume food and non-alcoholic drinks. Serve food of substance that you know will fill your guests. A few bags of potato chips and peanuts are not sufficient. The festive season is a great opportunity to spend time with loved ones, young and old. Take pleasure in just spending quality time together and set a good example for your family by drinking responsibly and avoiding giving alcohol-related gifts. Enjoy this festive time of year, but keep in mind the risks associated with your drinking decisions. The impacts on your personal life and at work can be great if you are not mindful of your drinking actions and behaviours. Pace yourself and keep an eye out for others and help keep the silly out of the season!